Chemicals are like people—no two are exactly alike! 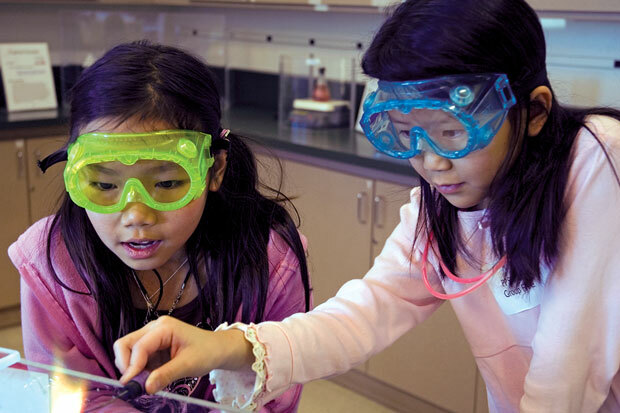 In this class, students become chemical detectives, investigating "mystery chemicals" and identifying them based on their unique properties, ranging from solubility to flammability. This chemical exploration emphasizes problem-solving techniques and laboratory safety skills. Topics include chemical reactions, changes in state, chemical safety and properties of compounds. Note: This class includes use of small open flames.